Clearly, if this month proves anything, it proves that it does not find its power in politics. We must discard the budding belief that power politics are what it is all about. I've been reminded lately that politics and political parties aren't where Christ-followers look for hope. Instead, I am thankful that we have an all-sovereign, all-powerful King to find hope in times such as these. Romans 1:16says that "it is the power of God for salvation to everyone who believes." 1. We need to stop trying to make the Gospel relevant—it's always relevant. To center on and proclaim the Gospel is to be as relevant and powerful as the apostolic early church (Rom. 1:4). The Gospel doesn't need you. The Gospel doesn't need bright lights or a fog machine. The Gospel doesn't need the government or politics. The Gospel doesn't need us. It saves us, captures us, equips us, compels us, and trains us. It wants us. It doesn't need my help or yours—we need not worry. The Gospel will be just fine. The Gospel ultimately wins. 2. When we lose the magnificence of the Gospel, we substitute icon, formality, and allegory. The power of the Gospel is complete. Nothing "poses a threat" to the Gospel. The Gospel is God's power loose in the world. It will not be prevailed against. Ever. R.C. Sproul said, "You can't improve upon the Gospel because God put His power there." 3. An excess of P.R. & church-growth schemes won't save Christianity from being irrelevant. Can you show me in the Bible that we need more ingenuity and creativity? Only the Gospel has such power. We can have the best music, the best performers, the best communicators, the best programs, but without the Gospel properly shared and lived, there's no power of God. Christ said, "I will build my church" (Matt. 16:18). Thus, we must trust the Gospel means he's ordained to build his church. 4. Don't let techniques, transitions, and technology replace the Gospel. When it comes to excellence in the worship service, there's a difference between adorning the Gospel and trying to help it. A church's increasing attempts to excite me in the worship service become increasingly boring. Pastor, if you're dreading corporate worship Sunday, it may be due to the entertainment standard you've set for yourself. It's called "corporate worship" and not "individualistic entertainment" for a reason. Idol makers rioted against the church because business tanked (Acts 19). This wasn't accomplished by protesting, but by the spread of the local church and Christians with the Gospel. According to 1 Cor. 2:2, our vision is the Gospel. Our strategy is the Gospel. Our method is the Gospel. 5. Our Christian subculture's obsession with spiritual fads and religious hoaxes distract from the only power stewarded to us: the Gospel (1 Tim. 4:7). To infer from Jesus' get-together with big crowds that churches must focus on consumer-driven tactics is to have selective-hearing in the Gospels. The pillars of Paul's mission strategy were verbal witness and evangelism, personal and corporate discipleship, and church planting (Acts 14:21-23). What is your strategy? 1 Thessalonians 1:5 reminds us: "Our Gospel came to you not only in word, but also in power and in the Holy Spirit and with full conviction." What was God's strategy for making the church bold? According to Paul, it was to imprison her leaders (Phil. 1:14). 6. The Gospel is the power of salvation—so quit trusting your programs, strategies, visions, props, concepts, & speaking ability. The Gospel changed me, rescuing me from shame, sin, hell, depression and hopelessness. No advertising stunt can do that. I've found that in all my pastoral care for aching people in the local church, nothing cheers, emboldens, & transforms like the Gospel. Christian, programs will never make a church evangelistic. Only the biblical Gospel will mutate an ice-cold church into an evangelistic church. What great news! The power of God isn't in us but in his Gospel. Our job is to preach, proclaim, and propagate it. The Holy Spirit will take it from there. 7. Let's stop supposing the Gospel's power ceases at one's conversion. The Gospel is God's divine power for justification through glorification. It's the power of God for a conversion experience and for total life transformation. The Gospel clarifies the eternal worth that we need to know. The Gospel doesn't change, but neither does our need for it. 8. 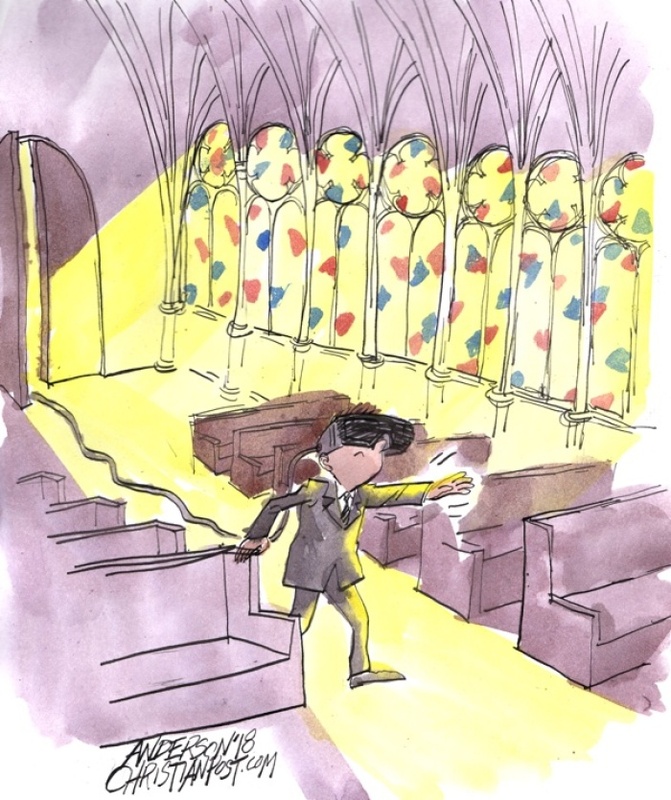 Fetching "the Gospel" out twice a year for special occasions reveals something about a church. Even the most caring, loving, and kind church will lose people who love their sin if it preaches the Gospel and true repentance. When the Gospel is truly preached, people are brought to the church without entertainment, events, or promises beyond those given by the Gospel. The Gospel isn't a platform, trick, stage, or merchandise to me. It is sustenance, liquid, sunlight, and protection for every church conversation, gathering, prayer, program—and everything in between. 9. Pastor, preach as if you yourself are the greatest sinner in the congregation in the greatest need of the Gospel. It's probably true anyhow. Our daily evangelistic endeavor is to proclaim the Gospel to our spouse, our children, our friends, our church, our neighbors, our world, and ourselves. And we repeat this process. Luther's counsel to pastors in modern terms was simple: "First we need to get the Gospel into their heads and then just keep pounding it down into their hearts." If those who believe the gospel you preach aren't being altered by that same Gospel, you might need to reconsider what you're preaching. Christian, let's not lose hope, lose heart, or lose our nerve. Let's boldly pray that through the simple-yet-fathomlessly-eternal message of the Gospel, God will continue to use our churches to reach those without Jesus as Savior (2 Tim. 2:24-26)—and that without the power of politics. What If the End Is Not As Near As You Think?